Volkswagen launched the India-spec sub-4m-sedan in the form of Ameo a few years back. The all-new vehicle was specially developed for the Indian market to take on the cars like Maruti Suzuki Dzire and the Hyundai Xcent. Next year, Volkswagen may pull the plug from the Ameo. Volkswagen says that it does not want to be a part of the segment after 2020. The Ameo was first launched in 2016 and is available only in the Indian market. It was launched to take advantage of the tax slab that gives an advantage to the sub-4m vehicles in the Indian market. However, the Ameo has not done as well as Volkswagen expected it to in the market, which is why the vehicle will be no longer available in the Indian market from next year. The Volkswagen Group has started the India 2.0 strategy, which is currently being led by the Skoda group in India. 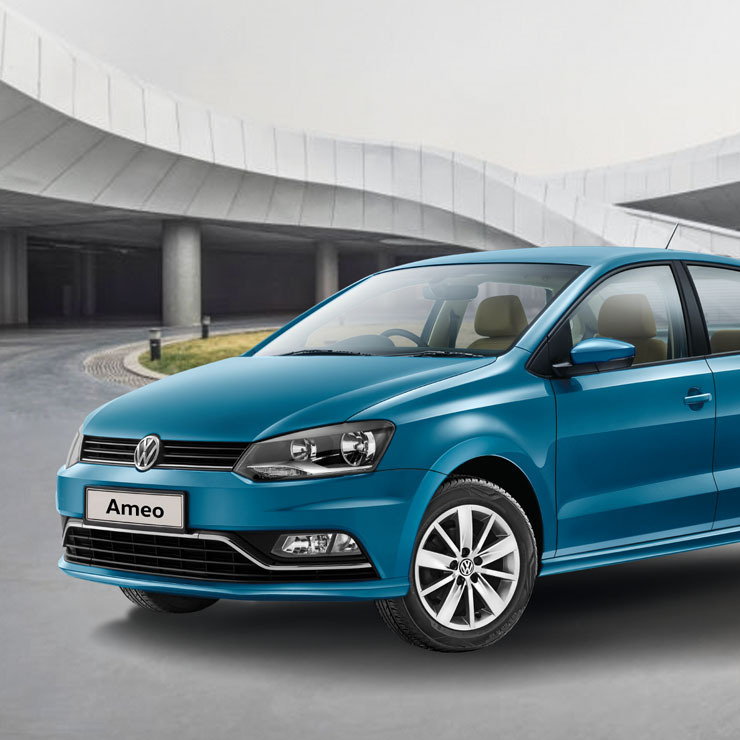 When launching the Ameo, Volkswagen expected it to increase the overall sales of the manufacturer. Instead, the launch of the Ameo affected the sales of the Volkswagen Polo and the Vento in the Indian market. In the 2018 calendar year, Volkswagen sold only 9,800 units of the Ameo, which comes down to about 980 units per month. The sub-4m sedan segment is huge in India. After the launch of the all-new Dzire in the Indian market, it became the best-selling vehicle replacing the Maruti Suzuki Alto from the top position. The new sales figure show how buying preferences are changing as prospective customers gain more spending power. Volkswagen also said that there is not a global car that is made to fit a specific length. Most of the times, the car length is decided by the design, interior space, powertrain and other things. It should be noted that the Volkswagen Ameo is priced lower than the Volkswagen Polo in the Indian market. The car is powered by both petrol and diesel engine options. It gets a 1.2-litre MPI naturally aspirated petrol engine that develops a maximum power of 74 Bhp at 5,400 rpm and a peak torque of 110 Nm at 3,750 rpm. The diesel variants are powered by a 1.5-litre unit that generates a maximum power of 109 Bhp at 4,000 rpm and a peak torque of 250 Nm at 1,500 rpm. Volkswagen also offers dual-clutch 7-speed transmission with the diesel engine powered variants of the Ameo in the Indian market. It is the only diesel compact sedan that offers dual-clutch transmission in the segment. The Volkswagen Group is lining up future launches for the Indian market, and soon, we will get to see a slew of new products from the brand. All the new cars that will be launched in the Indian market will be based on the Volkswagen Group’s MQB A0-IN platform, which is specially developed for the Indian market to launch low-cost cars. Volkswagen may launch a compact SUV or a hatchback in the sub 4m segment post the exit of the Ameo from the market, but as of now, no such announcements have been made.